Sailing yacht A SULANA (EX SHOGUN, YII) is a 37.00m (121' 4") superyacht built by Holland Jachtbouw in 2006 and refitted in 2017. The sleek, performance orientated yacht YII features naval architecture by Dixon Yacht Designs and interior design by John Munford. 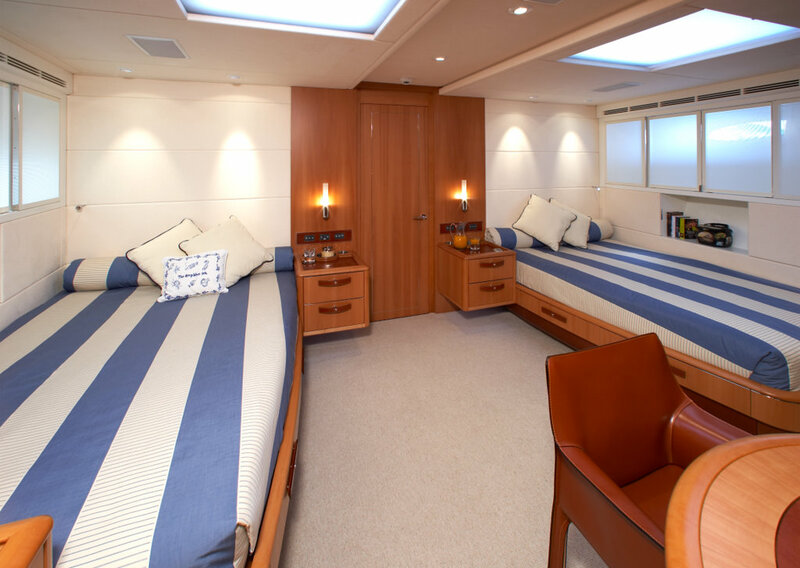 She can accommodate up to six guests in three cabins and has a professional crew of five on board. 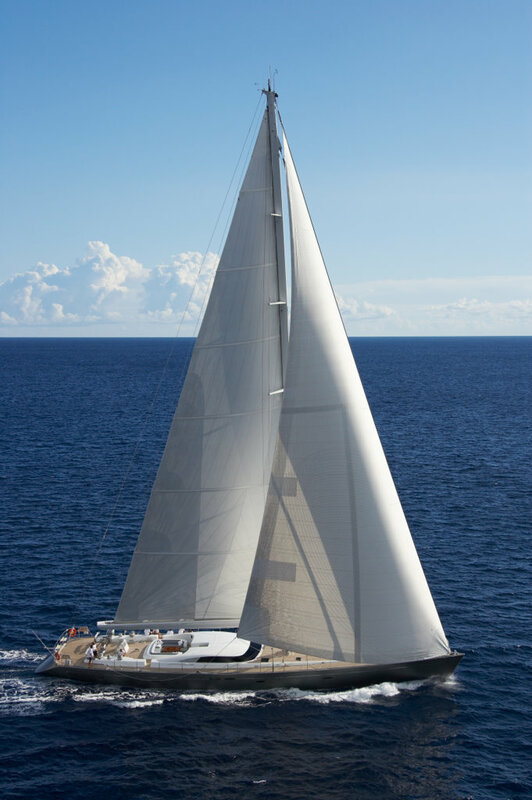 The A SULANA sailing yacht is a fast cruising yacht with a sloop rig, with an exceptional sail area/ displacement ratio which ensures she is able to make the most of light breezes and provide an excellent sailing performance. 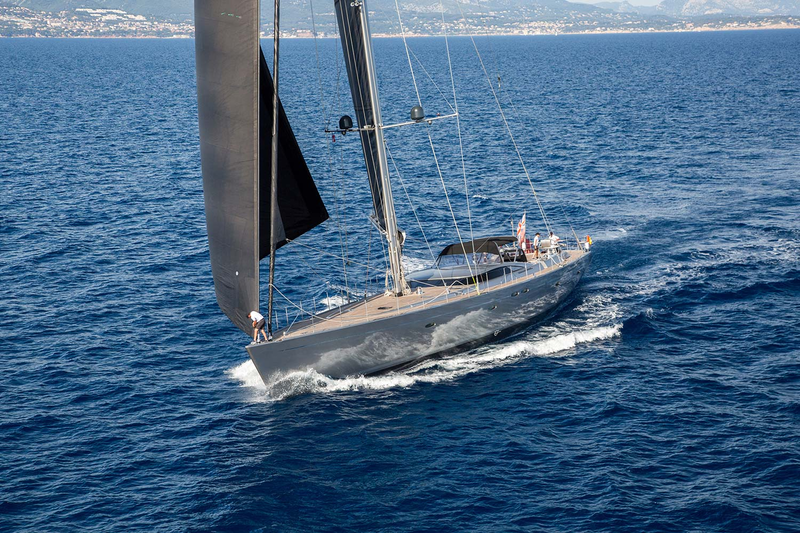 Constructed of aluminium, the 37-metre sail yacht performs superbly in the Mediterranean Sea while remaining stylish, neat and uncluttered on deck. 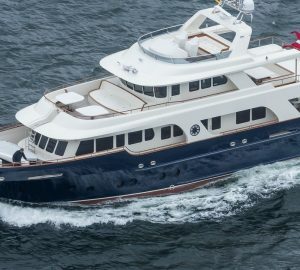 She was the second yacht designed by Dixon Yacht Design for the owner who wanted a low profile with a minimalist theme. 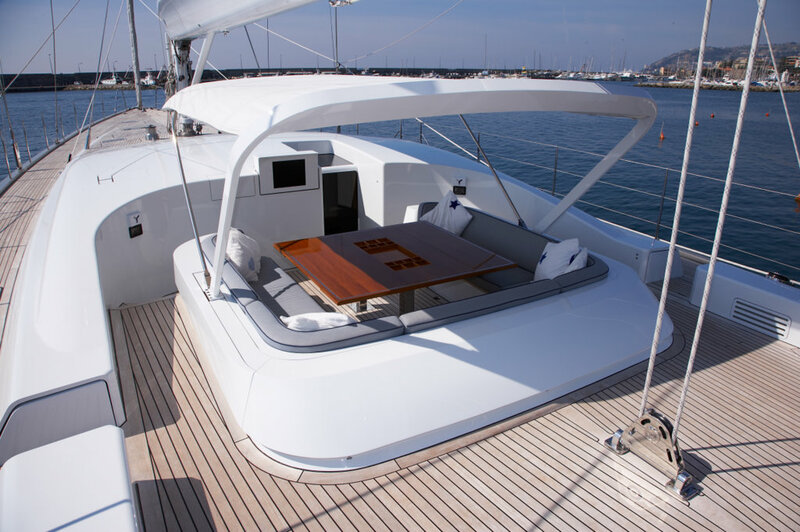 The luxury yacht has uncluttered deck areas with recessed deckhouse, a smart bimini and dodger system, and her helm consoles feature touchscreen technology. 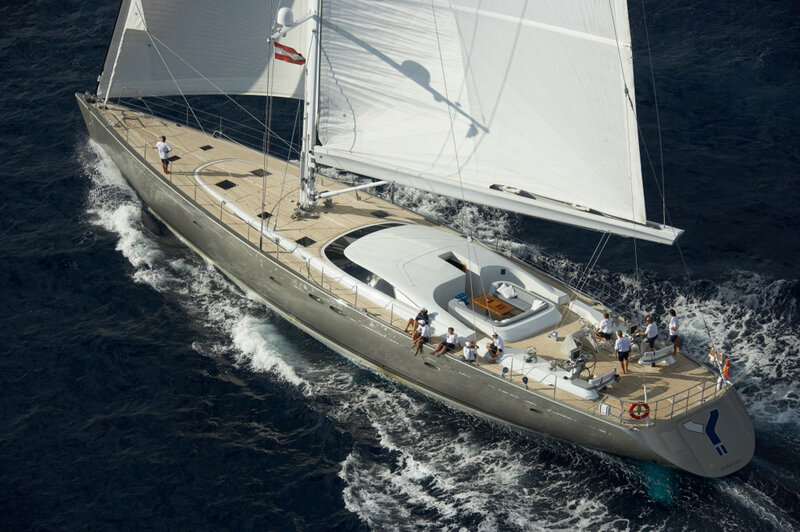 The yacht also features semi-recessed headsail furlers, pop up cleats, a ‘through hull’ anchor system, deck-recessed Genoa tracks and cleverly-concealed hatch hinges. 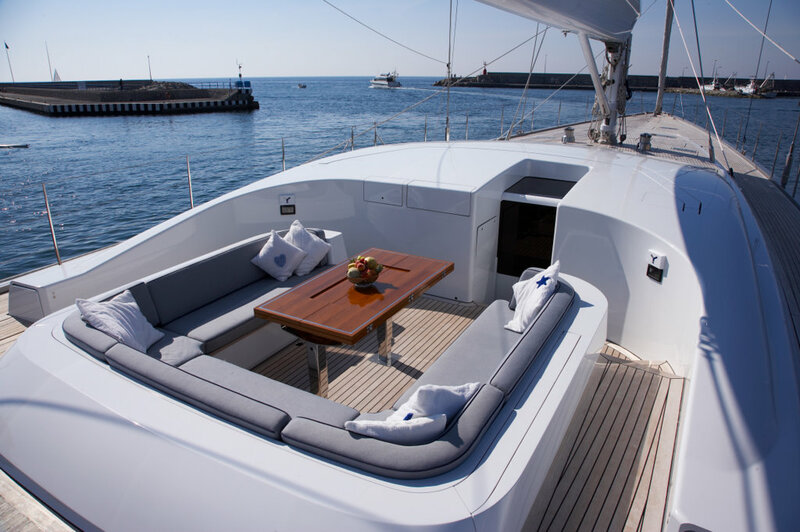 Charter yacht A SULANA also has a modern interior that is comfortable and impressive, achieved through the incorporation of pear wood panels with contrasting materials and furniture specifically designed to give the impression it is floating. The interior is both light and bright and the contrasting dark wenge sole and woven leather upholstery provide texture and form. 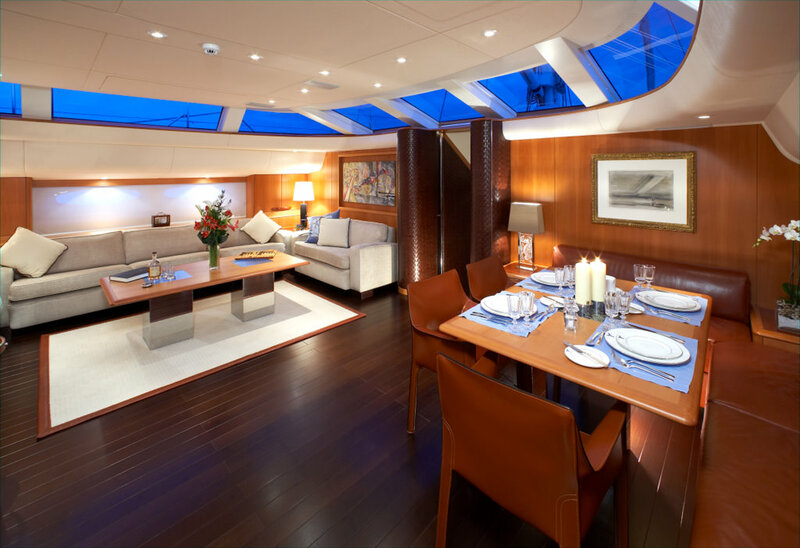 Below deck is the split-zone saloon that is both a dining area and comfortable relaxation space. Aft of the dining zone there is a study that leads through to the galley. 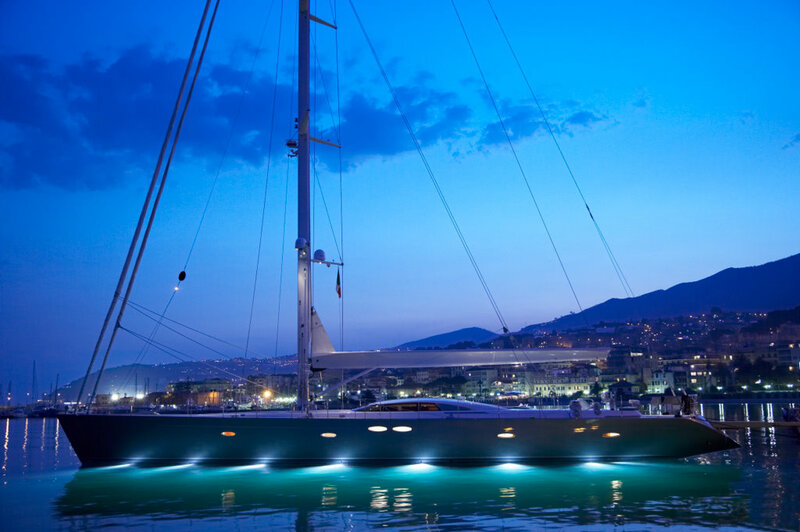 This yacht is able to sleep up to 6 guests in 3 cabins. 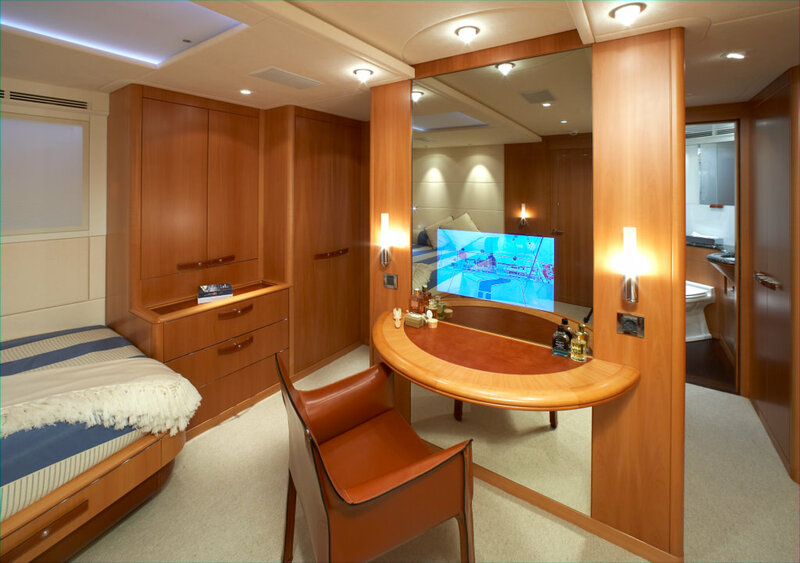 The generous Owner’s suite and two Guest cabins onboard sailing yacht YII are located forward, and the crew’s quarters aft which is quite a usual layout for a sailing yacht. The design for the cabin layout is thought to provide greater peace and privacy afforded to guests with today’s usual stern to mooring requirements. Luxury yacht A SULANA is able to accommodate up to 6 guests in a Master Cabin with twin beds, a double cabin and a twin cabin. 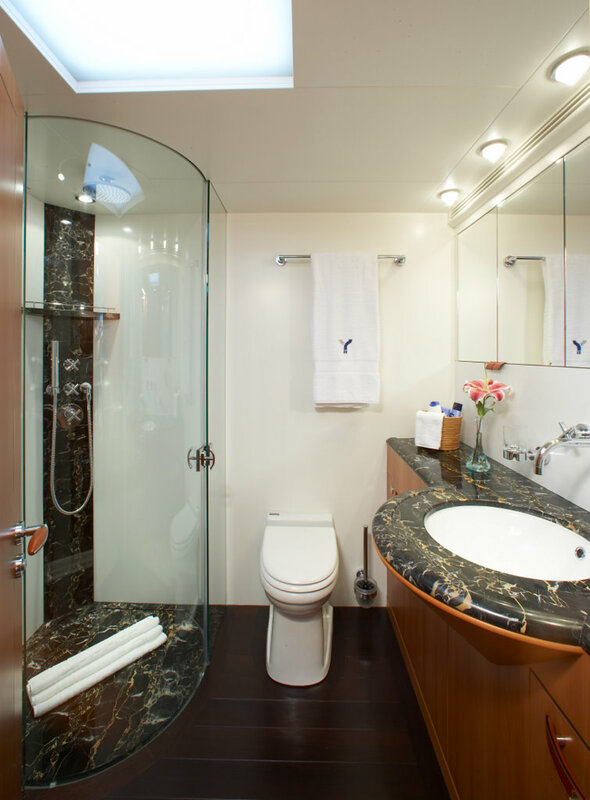 All cabins have ensuite facilities.